Check out a great highlights reel from the 2018 Brazilian National YoYo Contest! The Brazilian yoyo scene has always had a ton of talent and creativity, and it's always great to peek in on what they're up to. Check out a great highlights reel from the 2018 Brazilian National YoYo Contest! 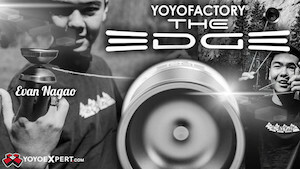 The Brazilian yoyo scene has always had a ton of talent and creativity, and it’s always great to peek in on what they’re up to.